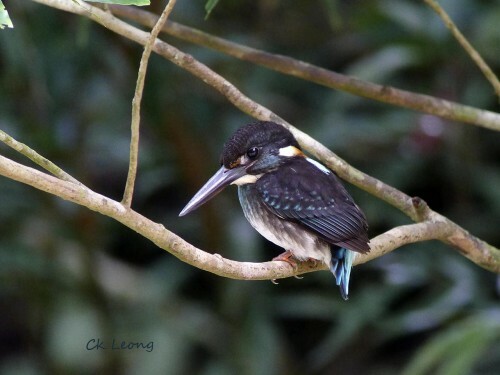 The Blue-banded Kingfisher Alcedo euryzona is probably the least common of the resident kingfishers in Borneo. It prefers flowing clear rocky streams in hill forests which by themselves are increasingly harder to find. It has the ability to stand in gentle flowing water, allowing it to perch on wet rocks while waiting for fish and other aquatic prey. You would probably have more joy seeing this behavior after some rain when water levels are higher and fish are more active. I have been hoping to see this bird for as long as I can remember and it has been worth the wait. 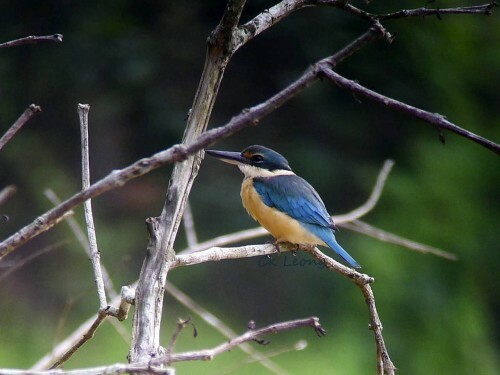 Only a recent trip with Eagle-eye Tours, while on a boat trip on the Kinabatangan river, there it was, the Sacred Kingfisher. This rare migrant from the Australian winter was even better looking than I had imagined. Previously I had looked carefully at every Collared Kingfisher I came across, the 2 species having strong similarities. Digiscoping this bird from a rocking boat was a great challenge. Still I am very pleased with the images I’ve got. 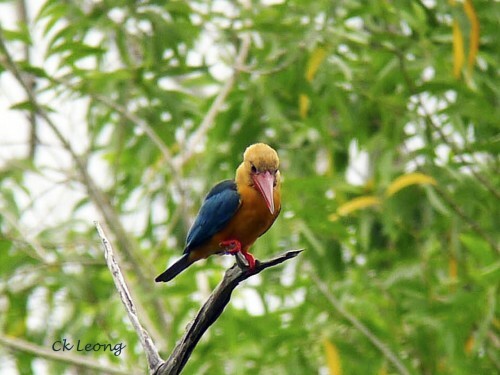 The Stork-billed Kingfisher Pelargopsis capensis is the largest kingfisher in Borneo. 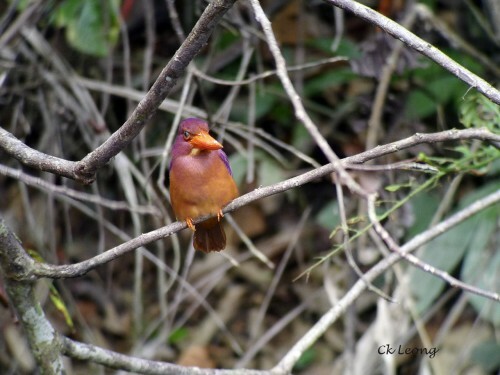 Distinguished by its large red bill, it is common along waterways, ponds and wetland. Its loud kek kek kek calls give away its presence. 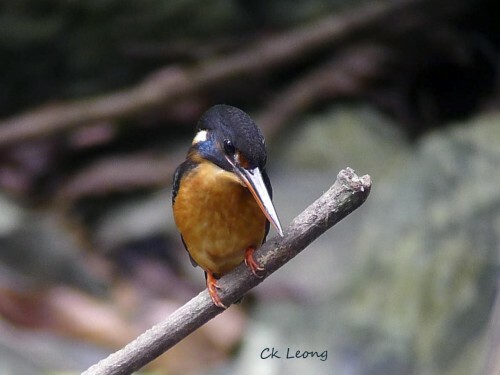 At the recent Borneo Bird Festival at Sepilok RDC, this Ruddy Kingfisher Halcyon coromanda came out to meet with the entire birding corps. Even the normally slow-to-react photographers like myself left with a few shots of this brilliant bird. 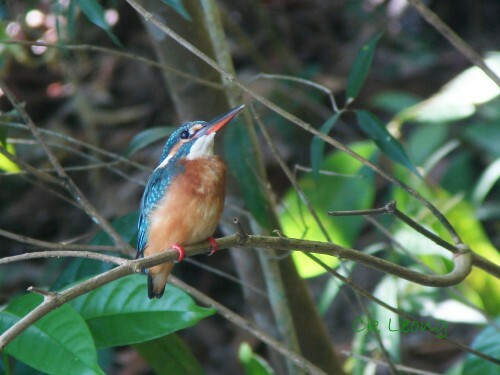 Here they are, the 3 Alcedo kingfishers found in Borneo. These are the fishing kingfishers as compared to the slightly smaller insectivorous Ceyx species. 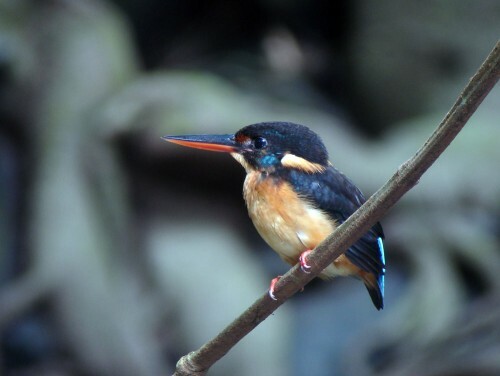 I find that the Blue-banded Kingfisher A. euryzona is hardest to find, being partial to clean running forest streams which are increasingly harder to come by. 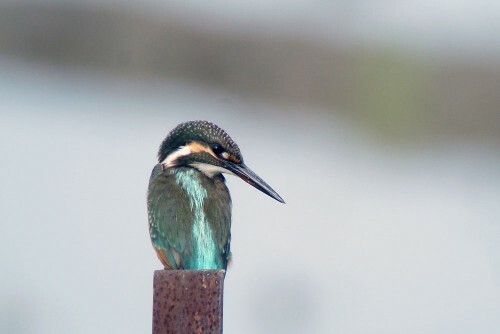 The Common Kingfisher A. atthis is not that common either and it prefers the ponds and wet areas around the paddy fields. The Blue-eared Kingfisher A. meninting seems to be seen most often, its high-pitched tseet whistle in flight giving away its presence. I can’t decide which is my favourite, each of them so wonderful in plumage and habit.